This image was taken in Beskydy mountains during moonless and extraordinary clear night. 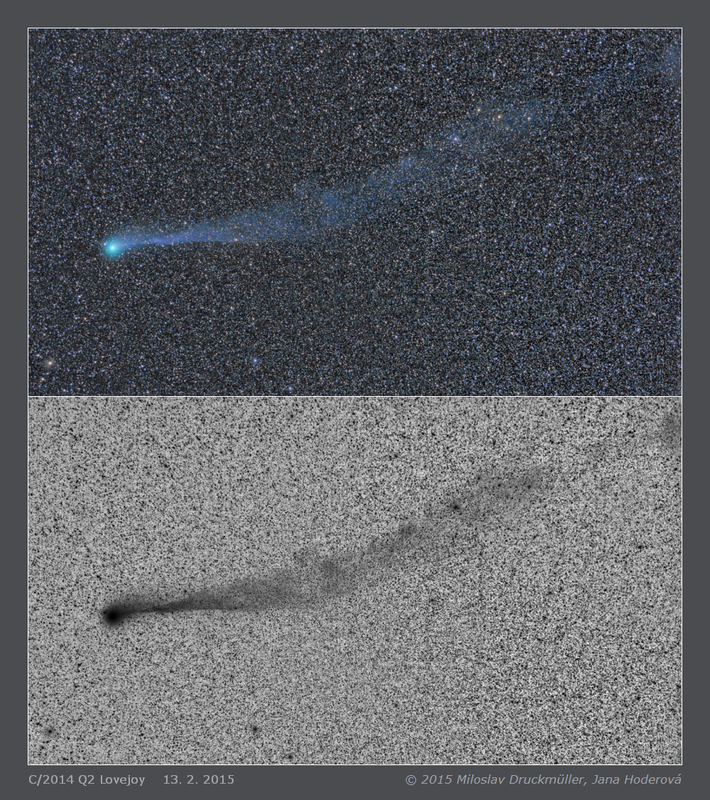 The Lovejoy comet was still moving rather fast in the sky - 1.55 arcsec/min. It was about 1 UA far from the Earth and 1.3 AU far from the Sun. See this animation taken during 2 hours (18:35 - 20:34 UT).